March 31, 2017 Robert W.
Las Vegas Rio Hotel Center Convention canner stands are a very popular display graphic at the convention center at the Rio. The Rio Hotel is a casino property located off the strip at 3700 W. Flamingo Rd. Las Vegas Nevada 89103. The Rio offers over 80 meeting rooms with a combined floor space of 163,000 square feet for conventions, meetings and trade shows. The casino is located near the Las Vegas strip and takes only a few minutes or less to be on the famous Las Vegas Strip. There are many meetings, trade shows and conventions held at the popular Rio Hotel Convention Center. In fact, Las Vegas is the number one destination in the world for trade shows and conventions. Las Vegas has millions of square feet of convention space available for conventions and many different locations. If that is not enough reason to hold your convention in Las Vegas, there is a lot of fun to be had in Las Vegas as well. In addition to gambling, there is a 24 hour night life, top talent entertainment, golf, fine dining, great hotel accommodations and year round good weather. To fins out more about the Rio Hotel, go to https://www.caesars.com/rio-las-vegas. Many signs and graphics are needed for all the conventions and meetings at the Rio Hotel. Banner stands are quite popular because they take up very little space ( they roll up into a convenient stand) and cost under $100.00. When banner stands are placed next to each other, they appear to be one large graphic, which makes for a very impressive display. Three of these banner stands placed next to each other make it a appear to be a backdrop that is over 6 feet tall and about 10ft. wide. Rio Hotel Convention Center discount signs and banners are available at great pricing in he Las Vegas area. The Rio Hotel and Convention Center is located at 3700 West Flamingo Rd, Las Vegas Nevada 89103. The Rio Hotel has approx. 163.000 sq. ft. of meeting space available that can handle up to 5,500 people and is one of the nicest properties in Las Vegas. Thousands of visitors come to the Rio every year for there meetings, exhibits, trade shows and conventions. Many signs are needed for the different events at the Rio Hotel. Retractable banner stands are the most popular items of display at these shows because they are so easy to set up and take down. The 33″ x 78″ seems to be the most common size ( which offers an adjustable pole for setting the height ) and costs less than $100 with the print included. Vinyl banners are also very popular and very low cost and make for great backdrops and step and repeat banners. There are many sign shops near the Rio hotel ( which is located very close to the Las Vegas strip and is adjacent to the Gold Coat Casino and Palms Casino). These sign shops nearby have large format printers that are capable of printing signs and banners very quickly in case they are lost or damaged and need replacing in a hurry. Often, display graphics are lost or damaged more often than you think. Shipping companies accidently ship their graphics to different destinations by accident, which means they have to be recreated in a hurry so that the show or event can go on as scheduled. Rio Hotel Convention Center Discount signs and banners are available to many of he sign shops in Las Vegas. Many sign shops compete very hard for the convention business and try to give you the best service and price possible. March 29, 2017 Robert W.
Henderson Nevada Discount Vinyl Banners are available in the Henderson area at great prices. There are many sign and banner shops that will print banners and signs at very reasonable prices. 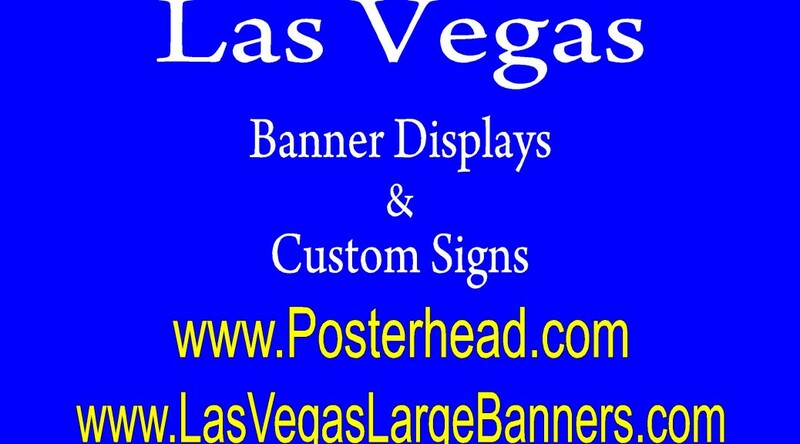 If you are looking for large banners in Henderson, 2 close sign shops nearby, www.Vegasprophouse.com and www.Dynastyexpo.com have 10 foot wide printer that can make very large banners. The large 10 ft. wide large format printers can print banners 10ft tall by 100ft wide with remarkable clarity. These vinyl banners are printed on a 13 ounce banner material with eco solvent inks that are specifically made for outdoor use as well as indoor use. The eco solvent inks are environmentally friendly and are designed to resist color fading, even in the hot Henderson sun. Henderson businesses like vinyl banners because they are so inexpensive and very cost effective. A large 4ft x 10ft vinyl banner ( full color, hemmed and with grommets) only costs around $2.00 a square foot or about $80.00. When these banners are placed at a business location and placed properly, they can be seen by the thousands of vehicles that are traveling by their location everyday. In fact, they act as a mini billboard, just without the monthly rental fees. For those businesses fortunate enough to be close to a freeway, its a bonanza to the business to hang a banner that can be seen by the thousands of vehicles driving past your location on the freeway. Henderson Nevada discount vinyl banners can be made in many sizes to accommodate the needs of businesses and people. These vinyl banners are full color, meaning you can have many colors on the banner as well as pictures and logos. Henderson Nevada discount vinyl banners can be found at sign and banner shops in Henderson and in the Las Vegas Valley at very good prices. See how they can help attract more business. March 27, 2017 Robert W.
Palms Casino Resort Convention Center Signs and Banners are needed for the many conventions and trade shows held at the Palm’s Casino Resort at 4123 Flamingo Rd, Las Vegas Nevada 89103. The Palms Casino Resort is host to many upscale meetings and conventions and considered a premium location to hold a convention. The Palms Casino resort is conveniently located near the 15 freeway, just far enough away from the Las Vegas Strip for relaxation, but within 2 minutes or less of traveling. Many signs and banners are needed for the different meetings, exhibits and trade shows at the Palms. One of the most popular graphics is the simple vinyl banner. These vinyl banners can be hung from tables and booths to help display or reinforce the message you are trying to convey. These vinyl banners are inexpensive ( cost around $2.00 a square foot) and can be made very quickly. Another display graphic that is quite popular is the retractable banner stand. These banner stands are compact, yet supply a large display graphic. The most common banner stand size is the 33″ x 78″ banner stand (banner stand also comes with a carrying case and can be used over and over again at different events). Other popular display graphics include the foam core boards signs, vinyl signs and step and repeat banners ( banners that have your logo or company name repeated over and over again on the banner in a stagers fashion so that it can be seen from all angles). Palms Casino Resort Convention Center signs and banners can be purchased all around the Las Vegas Valley at very reasonable prices. Many sign shops compete for your business and want your business the following year when you return for another convention or trade show and will do their best to give you great customer service at a great price. March 25, 2017 Robert W.
Custom signs and banners near LVCC can help the vendors at the Las Vegas Convention Center ( 3150 Paradise Rd, 89109) locate a sign and banner shop capable of producing custom banners and signs for the trade shows and conventions held at the LVCC. Through no fault of their own, many vendors find themselves at the LVCC without their display graphics because they were lost in transit or simply damaged. The sign industry receives telephone calls all the time from a company ready to open up at the trade show and find out they have no graphics. Panic sets in and the vendors scramble to make graphics for the show. Custom signs and banners near LVCC will help locate a sign shop that can assist them in replacing there graphics. Sign shops purposely locate themselves near the Las Vegas Convention Center so that they can be close to the customers they target. By searching for a sign shop close to LVCC and using review websites like Google Business reviews or Yelp, a company or person can locate a shop that can assist them in replacing their graphics hastily. Yelp and Google offer previous customers to write about their experiences at these sign shops and people can use them in determining if they are the best choice of shop for their purpose. Most sign shops in the Las Vegas area have state of the art large format printers that can help make the graphics very quickly. These large format printers can print a few hundred square feet of material every hour with great print quality , which includes printing photos and logos on the signs as well. Contact a sign and banner shop near the Las Vegas Convention Center if you find yourself ( or your company) in need of same day or rush order signs and banners. March 24, 2017 Robert W.
Sign stores near me is an excellent search term to find a sign and banner shop capable of producing custom signs and banners for you, your business or event. Everybody has a cell phone these days and it is easy to punch in the search term” sign shops near me” to find a sign shop location nearby. Sign stores near me can lead you to a smorgasbord of signs and banners. There are many types of signs that a sign shop can produce like, banner stands, vinyl banners, foam core board signs, vinyl lettering, window signs, sidewalk signs and many more. 1. 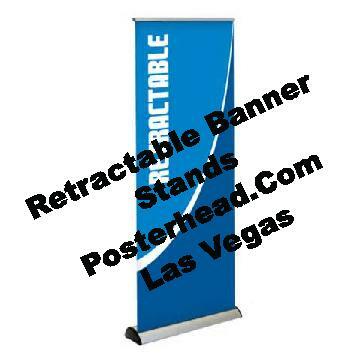 Banner Stands- usually 33″ wide by 78″ tall. It is a retractable banner that fits on a compact case that allows for a banner to roll up in the stand. Great for conventions and trade shows. 2. Vinyl Banners- Made in many different sizes and colors to accommodate the end user. Great way to advertise a service or product because they can be placed off the ground so that everyone can see them. Very cheap to produce. 3. Foam Core Board Signs- Mainly used at business presentations and placed on easels or art stands for display purposes. Very professional looking. Sometimes has laminate on top to give a very professional appearance. 4. Vinyl Lettering- Allows for sticky letters to be placed on windows or cars to spell out what you are offering. A common example is a front door of a business that has its name, business hours, and other pertinent information about the business. 5. Sidewalk Signs- allows for temporary signage to b placed on or near the sidewalk so that people passing by can see what you are advertising. Very easy to display and change messages on the sidewalk sign. Most common size is the plastic sidewalk sign that holds a 24″ wide by 36″ tall insert. March 23, 2017 Robert W.
Las Vegas aluminum construction signs are needed in the construction industry. Aluminum signs are signs that will not rust in the different seasons that Las Vegas has nor will they break apart or warp during the hot summer months. Road signs are also made out of aluminum to prevent rust and make them long lasting. This includes stop signs, slow down signs, no parking signs, etc. Many construction companies use these signs at there work areas because they are long lasting and can be taken down and moved to other job sites. Las Vegas dust control signs, as mandated by the Clark County Air Quality Management Board, are usually made out of aluminum materials as well. These aluminum dust control signs ( 4ft x 4ft for projects under 10 acres and 4ft x 8ft for projects over 10 acres) need to be tough and durable because they are constantly being abused on job sites and run over with the heavy machinery or construction workers are shooting their nail guns at them as target practice. Also, on the longer building projects, these signs need to be durable enough so that they can last several years. Las Vegas aluminum construction signs can come in a variety of sizes and shapes. The stop sign is a octagonal shape that can vary in size. Normal handicap and no parking signs are generally 12″ x 18″ in size. Many times they will have a reflective coating on them so that they can easily be seen at night. 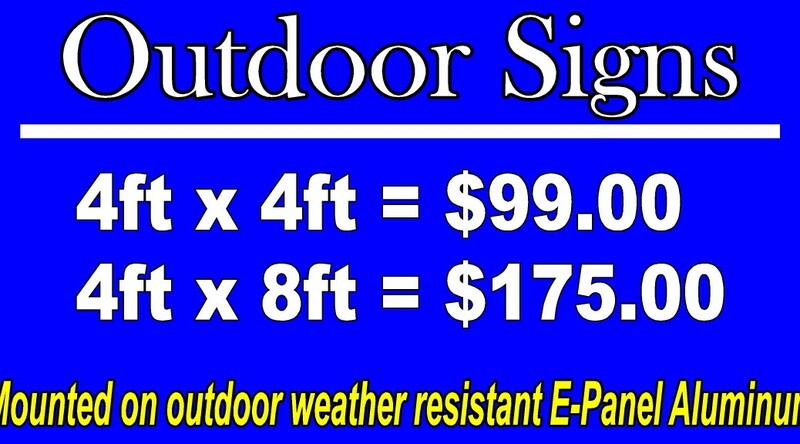 Aluminum signs can be virtually made in any size to accommodate your construction sign needs. Las Vegas aluminum construction signs can be purchased and custom made at many of the sign shops in Las Vegas at very good prices. Do a online Google search for” Aluminum Construction Signs in Las Vegas” and many results will appear leading you to the right sign shop. March 22, 2017 Robert W.
Las Vegas Convention Center large format printing allows for posters, banners and signs to be printed for the Las Vegas Convention Center shows and exhibits. Millions of people annually go to the Las Vegas Convention Center ( LVCC) at 3150 Paradise Rd. Las Vegas , for the biggest conventions, exhibits, and trade shows in the world. Consequently, many banner and signs need to be made for the vendors that display at these shows. The vendors come from all over the world and often it is easier and cheaper to have their signs and display graphics made locally in Las Vegas than to ship them from their countries. Large format printers are the main tool in the arsenal of the professional sign maker. These large format printers have come a long way in their printing technology and the current printers are reflective of that technology in there high quality printing at a low price. The new printers are 8 colors and can mix and match colors to make perfect color printing. This allows for logos and pictures to be printed on sign materials that allow for top notch quality. Since these printers can print at very fast speeds, the cost of printing has also come down. These large format printers can print several hundred feet of material per hour, thus reducing time and labor costs. Las Vegas Convention Center large format printing has helped thousands of vendors at the LVCC with there high quality, low cost printing. often, when these vendors ship their display graphics from where they came from, they get damaged or lost and need last minute replacing. The local sign shops in Las Vegas use these large format printers to make sure that the show can go on by producing the needed graphics quickly and efficiently. Contact a local Las Vegas sign shop to see how they can help you. March 21, 2017 Robert W.
Las Vegas Nevada 24 hour emergency banner printing is available in Las Vegas. 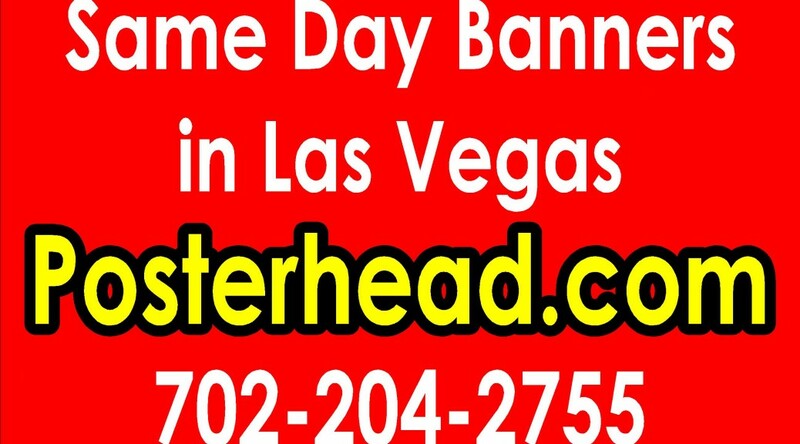 After all, Las Vegas is a 24 hour town and you should be able to get 24 hour service of a banner being printed as well. This comes in handy, especially for the convention and trade show industry that often find themselves without their signs and banners for the conventions at the last minute. Many times the banners and signs are sent to the wrong location or simply just do not arrive in time. If this is the case, rest assured there are sign shops in Las Vegas that can help you. There are many sign shops that cater to Las Vegas conventions and trade shows. Businesses like Vegas Prop House, http://vegasprophouse.com/ or www.LasVegasLargeBanners.com can get you really big banners printed in a short time. These businesses, along with others, try to give the best service possible to the convention industry. Las Vegas has a huge convention industry (the largest in the world) and millions of visitors come into the Las Vegas for the exhibits, conventions and trade shows. New large format printers allow for quick printing of your banners with remarkable quality. These newer state of the art large format printers can print at amazing speeds, thus making the cost of the banners lower than ever before. The cost is generally in the $2.00 a square foot range, with a premium for same day or late night printing. If delivery to the Las Vegas Convention Center, Sands Expo or Mandalay Bay Convention Center is needed ( or any of the other trade show facilities), many sign shops offer delivery service to these venues. Las Vegas Nevada 24 hour emergency banner printing is just one of the many amenities that Las Vegas signs hops offer. Contact a sign shop in Las Vegas for further information and enjoy your convention ! March 20, 2017 Robert W.
LVCC signs and banners today allows for you to get your signs and banners in a rush order for the Las Vegas Convention Center ( 3150 Paradise Rd, Las Vegas Nevada 89109). Las Vegas is the place where more trade shows and conventions are held than any other place in the world. With millions of square feet of display floor space available for use, companies and individuals love to come to Las Vegas to hold their exhibits and shows. Not only is there ample room for conventions and trade shows, there is so much else to do to occupy your time while you are here in Las Vegas. While Las Vegas is known for gambling, there is also fine dining, golf, 24 hour entertainment, exquisite hotel accommodations, and top talent shows. Add the year round good weather and it makes for a fun time to be in Las Vegas, especially when the rest of the country is in cold winter time weather. LVCC signs and banners today is perfect for the companies that come to Las Vegas and forget their display graphics or have them mistakenly shipped to another location ( which happens all the time). Shipping companies make a mistake, trucks break down and vendors find themselves without their graphics the day of the show and need to have them replaced in a hurry. Fortunately, there are many sign shops that offer sign services to the convention center and are located nearby. The sign and banner shops can make your signs and banners very fast and have them ready for you most of the time in the same day. A simple Yelp or Google review of the business will help guide you to the right sign shop. Contact a local Las Vegas sign shop to see how they can help you get those much needed signs and banners in a hurry.